For spa breaks in Bath, Bristol, Devon, Cornwall, Wiltshire and Somerset our South West spa break venues offers a range of getaways to suit all budgets. Looking for a city centre break to enjoy the hustle and bustle of the shops and restaurants? Look no further than our venues in Bristol and Bath. Bath is a very popular town and is located within the beautiful countryside of the South West. 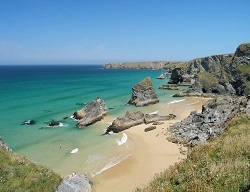 If a coastal break is more your cup of tea then you would need to take a thorough look through the South West area as we have hotels with the beach and coastal cliffs on your door step. Enjoy a break in Cornwall in the busy tourist spots in Newquay and enjoy some of the best waves in the UK on a body or surf board. Another option would be Devon where we have venues overlooking the ocean whilst swimming in the outdoor pool. The majority of our spa breaks will include your meals and treatments leaving you with nothing to worry about apart from which swimming suit to pack in your case. The food is always of a high standard and the service received will be second to none. Enjoy a break with a love one or a group of friends and relax away until it’s time to go. Our spa vouchers make ideal gifts if you want to treat someone special. All of our vouchers are delivered by email within one hour so they make the perfect last minute spa gift. Mercure Cardiff Holland House and Spa is a 4 star contemporary chic city centre hotel walking distance from the rail station and the best city centre shopping. During your stay, enjoy access to the private members Spa Naturel Health club, combining fitness, hydrotherapy and spa treatments for the ultimate in wellbeing. The Spa which is on two levels boasts 14. . . Deep at the heart of the Headland Hotel lies the entrance to another world. A world of balance, pampering and wellbeing, where the focus is on you, your body and your spirit. The first 'Five Bubble' rated spa in the region, The Headland Spa is one of the most respected yet undiscovered spas in Cornwall. The spellbinding natural beauty surrounding The. . .
A countryside environment is always the perfect backdrop to a bit of pampering, and the Lakeside spa at Best Western The Dartmouth Hotel, Golf and Spa is well positioned to offer just that, with facilities including a mud rasul, Jacuzzi, swimming pool, technogym, four treatment rooms (one of which is for couples), manicure and pedicure area, relaxation lounge, spa bath,. . .
Three miles from the centre of historic Bath, Combe Grove is a Grade II-listed manor house that stands in 76 acres of rolling woodland, within an area of Outstanding Natural Beauty. The hotel enjoys outstanding views over the Limpley Stoke valley, out towards the Westbury White Horse, as well as a range of excellent health, fitness, and leisure facilities. The. . . Situated along the beautiful north coast of Cornwall, between the towns of Padstow and Newquay, Sands Resort Hotel enjoys stunning ocean views and is only a short walk from Porth beach and Watergate Bay. A relaxed and friendly atmosphere combined with excellent facilities including the pools, spa and many complimentary activities, make the family friendly hotel a perfect choice for. . .
Christchurch Harbour Hotel & Spa is the ideal destination for a spa break in Dorset. Waking up to dazzling views of Mudeford Quay over to the Isle of Wight; walking to the sugar-almond coloured beach huts on Hengistbury Head, and exploring the New Forest National Park - this is just part of staying at Christchurch Harbour Hotel. The setting is. . .